Our goal is simple, yet innovative. We want to help you earn as much as possible, as often as possible. Earn when you travel. Earn when you shop. Earn every time you spend. For us, it’s all about you. With over 4,700 hotels, it’s no secret that IHG is the world’s largest hotel company, which makes it easy to stay with us and easy to earn points for yourself. From bonus points to discounted room rates, we’re constantly striving to bring our members more. We’re thrilled to offer rewards that are real, relevant and all yours. With so many exciting ways to redeem, you’ll see that we’re here to help you take advantage of every point you earn. The choice is yours when it comes to redeeming your points. Use your points to shop our online catalog of brand name products, jewelry, electronics, and more. The possibilities are endless when you use points for gift cards from your favorite retailers and restaurants. Use your points to reach new heights when you redeem for Air Miles with IHG®Rewards Club Partner Airlines. Get going with your points. Fly with over 200 airlines, stay at virtually any hotel and rent a car almost anywhere. urn your points into instant entertainment -redeem and download eBooks, games, software, and more! Use fewer points to get rewards quickly. Combine points with cash to redeem for Reward Nights at any IHG hotel, flights, stays at competitors’ hotels, car rentals and more. Need a few more points for a reward?Buy the points you need now. You can also purchase as a gift or transfer your own points to another member. 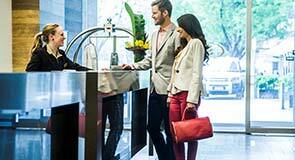 Update your profile and be the first to get the latest news from IHG® Rewards Club. Log in now and go to My Account. Choose Communications Preferences and select the types of emails you’d like to receive.